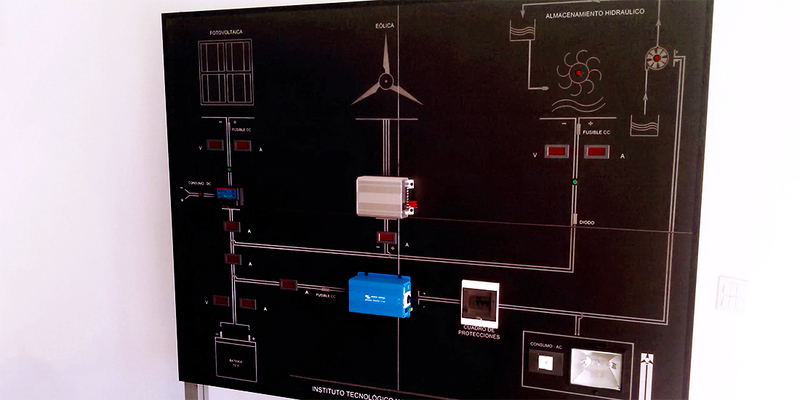 Technology unit – ITER – Instituto Tecnológico y de Energías Renovables, S.A. 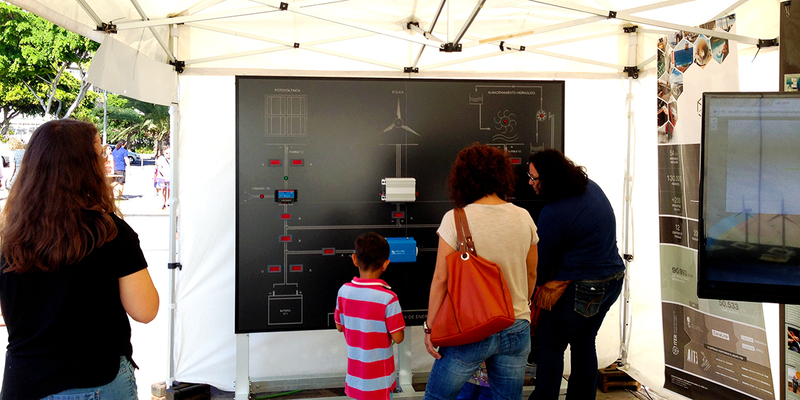 Aware of the importance of raising public awareness about renewables and the role that technological facilities can play in training, ITER has designed and established a Renewable Technologies Demonstration Unit. 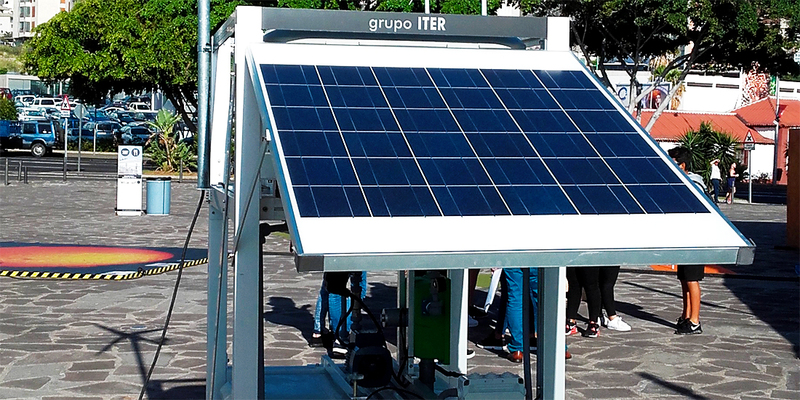 The unit aims to provide support for teachers engaged in theoretical and practical training in the field of renewables. A photovoltaic solar power module. 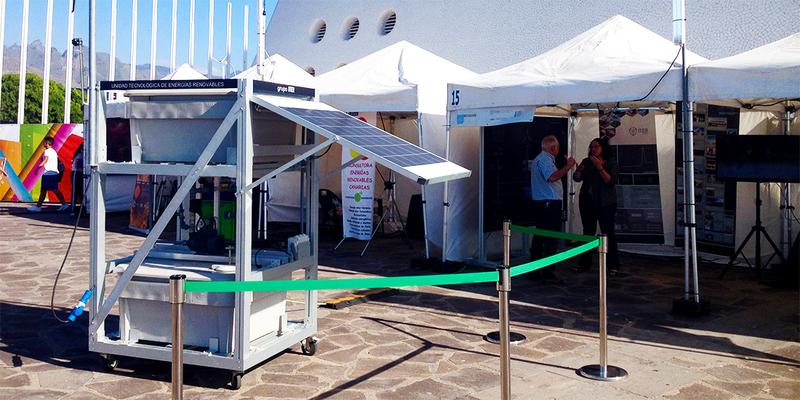 A small wind power module. A small hydro power module. The unit is fully equipped with the control devices needed to provide a comprehensive training programme. It can be used to simulate, to scale, a multitude of operational scenarios, in such a way that a wide variety of practical activities can be performed in a short time. The Renewable Technologies Demonstration Unit is available for use at ITER, only needing to be powered by its technicians, by formal request. To apply or for any other query about the unit, please contact us via the APPLICATION section in the sidebar.